One of my early childhood memories is about a huge stately limousine, moving with a speed of a turtle crawl, on the narrow dusty roads of my hometown Pune- then known as Bicycle city. There were very few motor cycles on the road and an even smaller number of cars. Occasionally, when a car passed by, people paused and looked at the car as if something unusual was happening on their way. This huge limousine, about which I am writing here, had a number plate, which said in bold letters' BARODA-1,' meaning thereby that the car belonged to the royal house of the Gaikwars ruling the state of Baroda in western India. The car used to take around, Princess Chimanabai Gaikwar around the city in the evening and since she was averse to speeding, the driver had specific instructions to drive at a crawling speed. 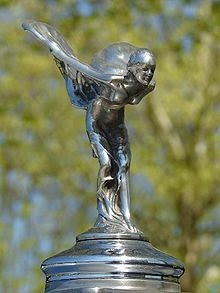 The car had in the front , on top of the bonnet, a silver coloured mascot of a lady with the wings and an emblem below that read 'RR.' Needless to say that the limousine was obviously a 'Rolls Royce.' Nothing else could the match the style and the grandeur. 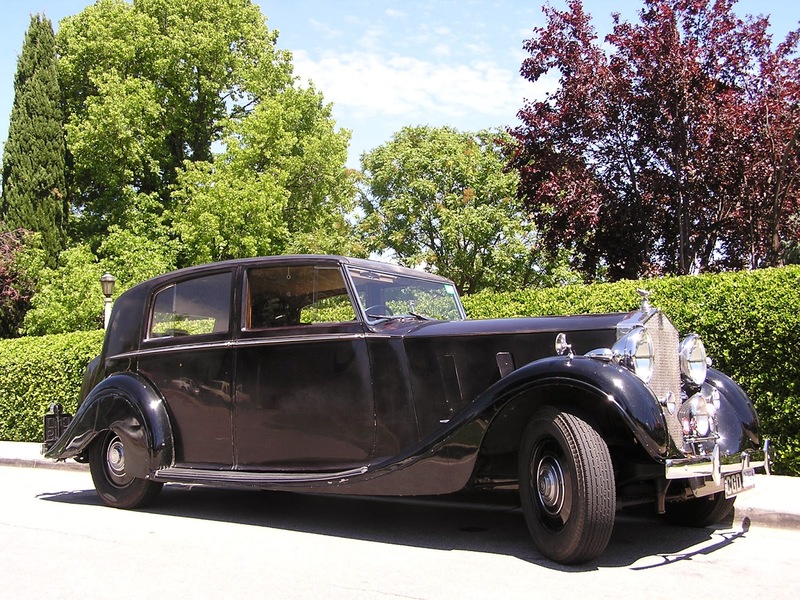 I never came across another 'Rolls,' till 1975, when I saw, on the streets of Geneva, another burgundy coloured beauty with the 'RR' emblem and off course the mascot popularly known as Spirit of Ecstasy. It must be sometime in 1970's that I had first noticed the same 'RR' emblem on an airliner engine and had found out that 'Rolls-Royce' also manufactured aircraft engines. In fact in those days, all civilian aircraft that flew in India had 'RR' engines even when the aircraft were made in US. 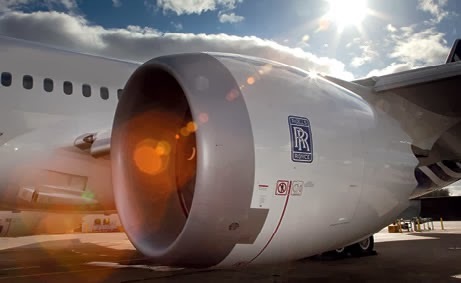 The original Rolls-Royce Limited, that made cars as well as aircraft engines, was nationalised by the British Government in 1971, due to the financial collapse of the company, caused in part by the development of the RB211 jet engine. The car manufacturing division of the company was incorporated as a separate company in 1973 and named ' Rolls-Royce Motors' and subsequently was de-merged from that of Rolls-Royce Limited. Another British company, Vickers acquired it in 1980 and sold it to Volkswagen in 1998. Volkswagen later sold it to BMW in 2002. Rolls-Royce cars are now made by BMW and have nothing to to with Rolls-Royce limited, which only makes aircraft engines. India continues to remain deeply committed to 'Rolls-Royce,' even today, as the company is involved in a series of defence projects in India. According to one estimate, over 50 contracts were inked by India with Rolls-Royce in the 2007-2012 time frame. Rolls-Royce Ltd. has supplied over the years, engines that power Indian Jaguar fighters, Avro planes, VVIP Embraer Legacy jets, C-130J 'Super Hercules' transport planes and Kiran trainers as well as engines for naval and Coast Guard helicopters and fast-patrol vessels. In addition, Rolls-Royce is providing Adour Mk.871 engines for Hawk advanced jet trainers. 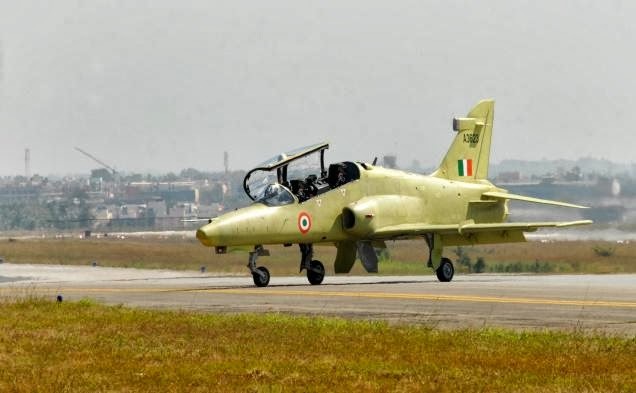 This project, where 143 Hawk aircraft are being manufactured by Hindustan Aeronautics Ltd under license from a British firm, BAE systems, is worth business of 100,000 million Rupees for Rolls-Royce. In a most surprising revelation Rolls-Royce admitted late last year that British Government's ' Serious Fraud Office' SFO, is carrying out an ongoing formal investigation into alleged bribery linked to the group’s overseas operations. Responding to these allegations, India has put all deals with Rolls-Royce on hold till the Central Bureau of Investigation completes its probe into allegations against the global engine manufacturer for employing middlemen and paying them hefty commissions in contracts worth around Rs 10,0000 million with state-owned Hindustan Aeronautics Ltd. If found true, Government has asked Hindustan Aeronautics Ltd. to take action against Rolls-Royce to recover money paid by Rolls-Royce to its intermediaries here. Under the Indian defence procurement policy, middlemen or intermediaries are strictly banned and Government insists on getting pre-contract "integrity pacts" with armament vendors. It however appears that the troubles of Rolls-Royce are not restricted to India alone. The company has already warned its shareholders in 2012 annular report that it might be prosecuted over alleged “malpractice” in Indonesia and China also. Indian Government has requested British Serious Fraud Office for information about the role played by alleged arms dealer of Indian origin, Sudhir Choudhrie and his son Bhanu in swinging deals in China and Indonesia as "intermediaries" of Rolls-Royce. Company also admits that it is being investigated by US Department of Justice (DoJ), though the company is yet to receive official notice of a formal DoJ probe. This year, India had cancelled the controversial Rs 3,5460 million contract for 12 VVIP helicopters with AgustaWestland, the UK-based subsidiary of Italian conglomerate Finmeccanica after invoking the integrity pact. This was done after earlier action taken against several global armament majors like Singapore Technology Kinetics, Rheinmetall and Israel Military Industries (IMI) over the last few years. The latest order against 'Rolls-Royce,' is likely to hit India also, like a double edged sword, as Rolls-Royce is involved in a series of crucial defence projects in India. Rolls-Royce says that it has been cooperating with regulatory authorities on both sides of the Atlantic in regard to allegations of bribery and corruption. It also has accepted that it has indeed appointed intermediaries in India as consultants to provide it with sales and logistics support, local business expertise and strategic advice. It is difficult to comprehend but it's true, that a company that was known 60 years ago for a unique world class product which was considered to be the best, has come to a level, where several Governments have launched probes for corruption practices against it. Faced with a CBI probe and the government putting on all hold all new contracts with it, global engine manufacturer Rolls-Royce has offered to return the Rs 180 million it paid to consultants to facilitate deals with defence PSU Hindustan Aeronautics Ltd in the energy sector to the government. Rolls-Royce has offered to "make amends" in a letter to HAL on March 5. The firm said it paid Rs 180 million to Ashok Patni and his Singapore-based firm Aashmore Private Ltd as commercial advisors in India. Rolls-Royce said Aashmore provided "sales and logistics support, local business expertise and strategic advice" in dealings with HAL in the energy sector. HAL, through its Industrial & Marine Gas Turbine Division, buys and maintains gas turbines for ONGC and GAIL. "L.
It is nice to read your post and you give wonderful information about limo hire. Please give more information about it.